Seasonal now. April 2019 starts annual. In the heart of Delray, this location is fabulous. 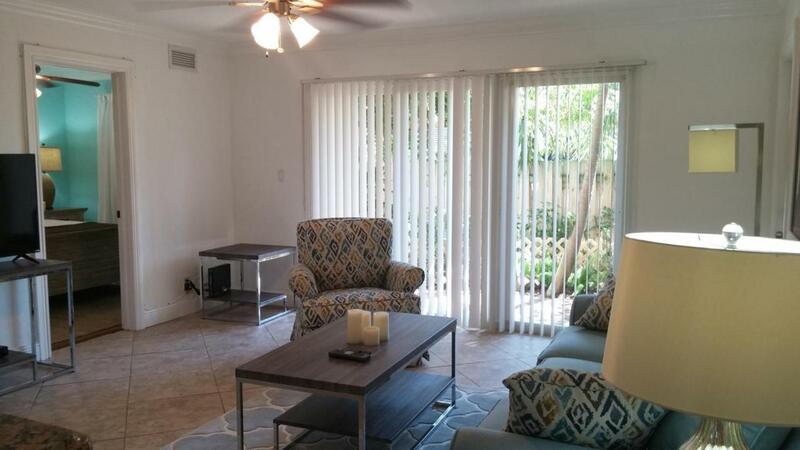 Furnished seasonal (summer/winter) rental, 2 bedrooms with pull-out couch, tile and wood throughout, patio beyond sliding glass doors. 5 min walk to shops and restaurants. 15 min walk to beach. Off street parking. Move In Requirements First Last And Deposit For Annual.